Is there a way to say “I love you” to family and friends this Christmas (and other special occasions like birthdays) and also advance Jesus’ kingdom? The answer is yes! Using our web-based gift catalog, you can honor your friends and family, express your love for Jesus, and help send the gospel, make disciples, and lift the very poor among our spiritual family around the world. We’ve made the process very simple. And once you’ve made your gift selections, we’ll mail you custom gift cards that you can give to your loved ones if you’d like. 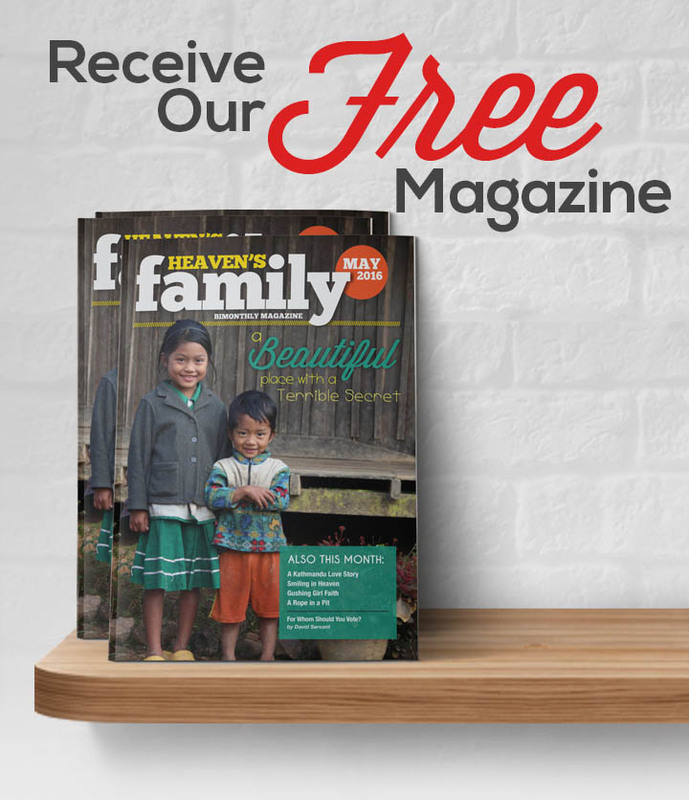 Please note that our gift catalog can be used not only to order custom gift cards in honor (or in memory) of your loved ones, but also to designate your own personal contributions to your favorite Heaven’s Family Ministries. If you already know how you’d like to designate your contributions, please go to HFcatalog.com. P.S. 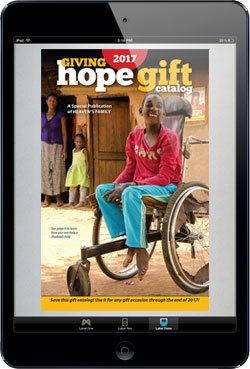 If you’d like to receive a physical copy (or multipe copies) of the 2017 Giving Hope Gift Catalog in the mail, just let us know by emailing [email protected]. Our mission is to advance the kingdom of the Lord Jesus Christ on earth. We do that by strategically linking kingdom needs and opportunities with resources that the Lord has entrusted to those who love Him.